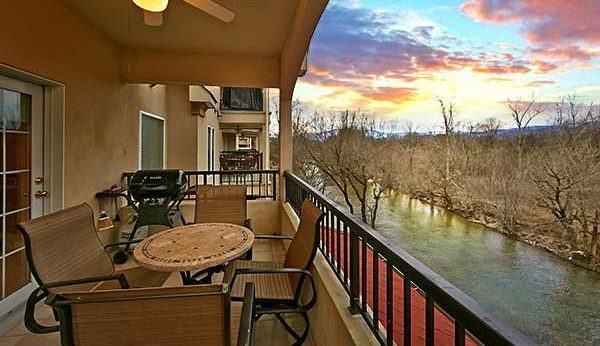 Appleview River Resort features views of the Great Smoky Mountains National Park and views of the Pigeon River - all from your balcony. Our beautiful condos and villas are great for a luxury vacation. 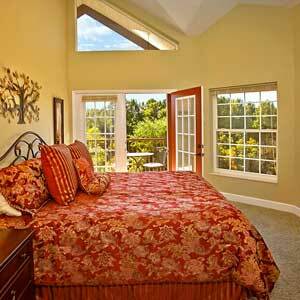 Some of our rentals can even sleep up to 12 guests! to beautiful views of the Smokies. Start your day with relaxing views and a fresh cup of coffee or breakfast on the balcony. There's a lot to do at Appleview River Resort. Our resort amenities include a clubhouse, outdoor swimming pool, playground and more. Plus, you're located only minutes from the fun in Pigeon Forge and Gatlinburg. Nestled on a quiet peninsula along the Little Pigeon River, Appleview River Resort is one of the few resorts offering both mountain views and waterfront accommodations! Appleview River Resort villas are available in one and two bedroom with private garages. Check out our Specials and Promotions to help you build the perfect Smoky Mountain vacation at just the right price. Our guests are important to us and we want you to have the best vacation experience while you’re in the Smoky Mountains. Click below to learn more about our owners and what makes Appleview River Resort the best choice for your vacation. Listen to this blog If you are searching for the perfect location for your Smoky Mountain vacation, look no further than the Appleview River Resort! Our beautiful condo...Keep Reading. Listen to this blog Finding neat places to eat is half the fun of planning your vacation! You want to know where the best hole-in-the-wall places or local...Keep Reading. Listen to this blog Family vacations present the perfect opportunity to make fun memories with your kids, and there’s no better place to do that than at our...Keep Reading. Listen to this blog Whether you’re celebrating an anniversary or are on a spur of the moment romantic getaway, you’ve come to the right place! When you’re not...Keep Reading. Listen to this blog If you’re looking for something fun and affordable to do that the whole family will love, stop by the RainForest Adventures Discovery Zoo! This...Keep Reading. Listen to this blog The Applewood Farmhouse Restaurant in Sevierville TN is a favorite among locals and visitors alike. From the moment you walk in, you’ll feel right...Keep Reading. Listen to this blog If you’re looking for the perfect place for you and your family to stay on vacation, look no further than our 3 bedroom condos...Keep Reading. Listen to this blog The shopping scene in Pigeon Forge is both unique and exciting with tons of different places for you to choose from. Whether you’re looking...Keep Reading. Listen to this blog If you’re looking for a memorable and affordable vacation, look no further than the Smoky Mountains! Millions of people are drawn here every year,...Keep Reading. Luxurious accommodations and beautiful views of the Smokies. At Appleview River Resort, you’ll receive the most luxurious accommodations in the Pigeon Forge area. We also have the best location, too, with beautiful views of the Great Smoky Mountains as well as views of the Pigeon River.